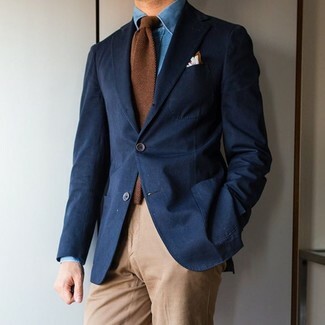 If you love staying-in clothes which are stylish enough to wear out, you should consider this combination of a navy blazer and a brown wool tie. If you're all about relaxed dressing when it comes to fashion, you'll love this easy pairing of a black field jacket and a Polo Ralph Lauren Wool Silk Twill Narrow Tie from Ralph Lauren. If you're after a casual yet stylish ensemble, consider wearing a brown wool suit and a Polo Ralph Lauren Wool Silk Twill Narrow Tie from Ralph Lauren. Both pieces are super comfy and they will also look incredible when worn together. Amp up the cool of your getup by completing it with dark brown leather oxford shoes. If you're a fan of comfort dressing when it comes to your personal style, you'll love this stylish combination of a dark brown wool blazer and a Polo Ralph Lauren brown wool tie. A pair of tobacco leather casual boots will bring a strong and masculine feel to any outfit. 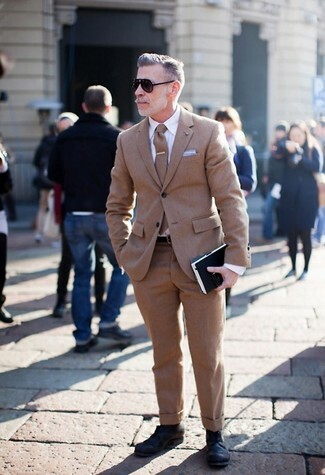 If you're looking for a casual yet dapper getup, wear a tan suit with a brown wool tie. 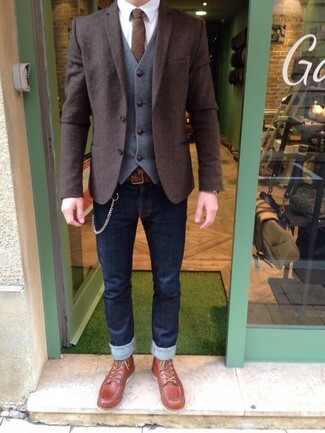 As well as super comfy, both garments look great when paired together. Consider pairing a charcoal overcoat with a Polo Ralph Lauren Wool Silk Twill Narrow Tie if you're in search of an outfit idea for when you want to look casually cool. 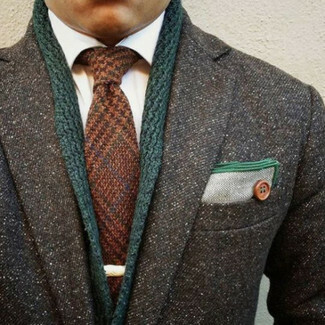 If you're on the lookout for a casual yet on-trend look, choose a brown wool suit and a brown wool tie. As well as very comfortable, both garments look great paired together. Sporting a pair of black leather derby shoes is a simple way to add some flair to your look. If you prefer functionality dressing when it comes to your personal style, you'll love this neat combination of a tan herringbone wool blazer and a Polo Ralph Lauren brown wool tie. 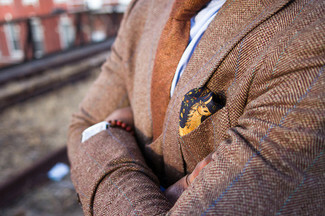 If you're on the hunt for a casual yet dapper ensemble, wear a brown check wool suit and a Polo Ralph Lauren brown wool tie. Both of these garments are super comfortable and they also look great when paired together. Throw in a pair of brown leather brogues for a masculine aesthetic.